There will be a day as a bike commuter where you’ll need to ride in the rain. When the rain comes you’ll want to be prepared! It is miserable finding yourself caught in the rain with nothing to protect you from getting wet. One option to staying dry while on a rainy day is to invest in a proper cycling rain cape. Years ago I found myself at work needing to pedal home. The trouble is that a storm had rolled into town and the rain was pouring! My only option was to wear a black trash bag that I turned into a makeshift poncho. When I finally got home I was soaked. The trash bag had barely done anything. 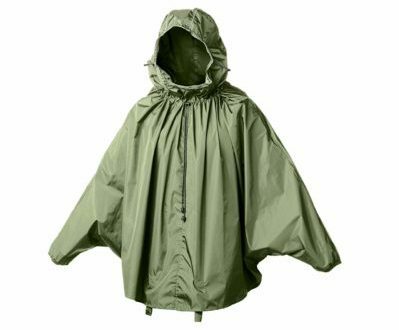 When you think of a rain cape or poncho, you may be imagining a cheap plastic poncho that resembles a trash bag. The truth is capes made for biking are not only stylish, but will do a great job of keeping you dry. 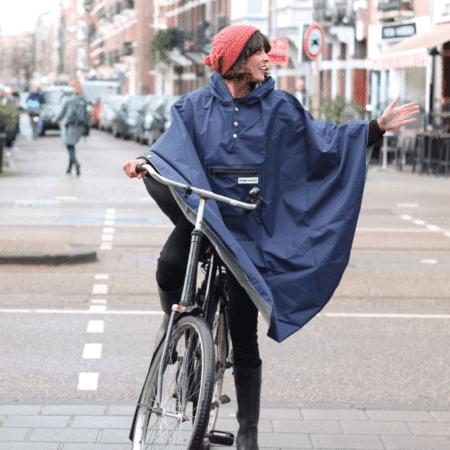 A traditional poncho won’t keep your arms protected while you hold onto a bike’s handlebars. 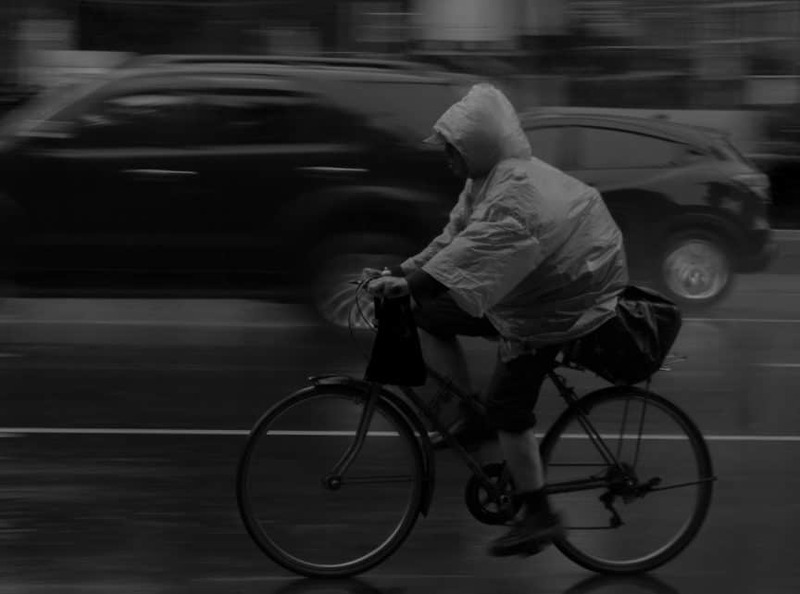 Cycling rain capes are created to keep even your arms and hands dry when you reach for the handlebars. One article of clothing that will protect your entire body from rain. Compared to most rain gear, rain capes allow air flow so you won’t get sweaty. The bottom of the cape stays open so that air can move. They cover backpacks so you can keep your stuff dry as you commute to work and home. Not all capes are made to make you look like a goof. There’s a collection of capes that are hip and stylish. Don’t let the rain stop you from riding your bike. With the right poncho you can make it through the wettest of weather. Here are 5 of the best capes for bicycling that will keep you dry. VAUDE’s cycling cape balances style, functionality, and price. There are three color options – orange, yellow, and blue. In terms of style it’s a standard poncho look. It has a hood with a little bill on it to keep your head and face protected from rain. It’s lightweight, but does its job of keeping you dry. There are nylon hand loops made to keep it from lifting in the wind. Paired with fenders on your bike you’ll be nice and dry. As a bonus, it folds up easily to pack into a bag when you’re done with it. Compared to the price of its competitors it’s a reasonable and fair price. Buy on Amazon. Waterproof. It’s going to do the job. Breathable. Don’t worry about getting sweaty with this on! Quality materials. You won’t feel like you’re wearing a shower curtain. Equipped with a water resistant pocket on the front to carry your phone, keys, or whatever else you want to keep dry. Hood to keep your head dry. Comes with a bag to store the cape when it’s not being used. Made with reflective strips on the front and back to increase visibility. It’s important that motorists see you in the rough weather! Waistband so that it won’t flap in the wind. Riding with a sail is no fun. It comes with straps on the inside that you can hook onto your handlebars to protect your entire body (including legs) from the rain. This particular cape is the king of cycling rain capes. Without a doubt it’s the best in terms of quality, functionality, and style. To start it looks great! You’ll receive compliments wearing this cape whether you’re on or off the bike. It’s a classy look. In regards to functionality, it features waterproof zippers; magnetic closures that snap shut at armholes, and sturdy velcro trim tabs. It’s crafted out of waterproof polyester that is durable and seam sealed. You won’t need to worry about water getting through. The Cleverhood rain cape comes with a fitted hood that can be worn under a bike helmet. It also has elastic thumb loops to keep it secure while bike riding. They do a great job of keeping the cape over your hands and handlebars as you’re riding around. Being visible is important for bike commuters. You want to make sure other cyclists, motorists, and pedestrians can see you. The fact of the matter is that this cape isn’t as visible as others which are neon orange or yellow. Visibility was sacrificed for style. With this said, Cleverhood cleverly (haha) used interwoven reflective thread to make the cape reflective from passing headlights. pretty cool! The only other negative of this cape is the cost. It’s pricey. This is the type of cape that you get and wear for the rest of your life. It’s top quality, but you’ll pay the price for it. Buy this product at Amazon. 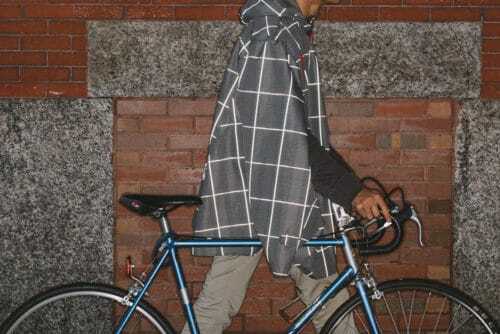 A great poncho for the urban bike commuter. This wonderfully red poncho will keep you nice and dry as your pedal around town. It’s designed with reflective piping edges, an inner grey cotton lining, waterproof zippers, and waist strings and straps to keep it from flapping in the wind. A sleek design that will make you stand out as you ride around. Brooks England is primarily known for their saddle, but they’ve branched out to make this trendy rain cape. 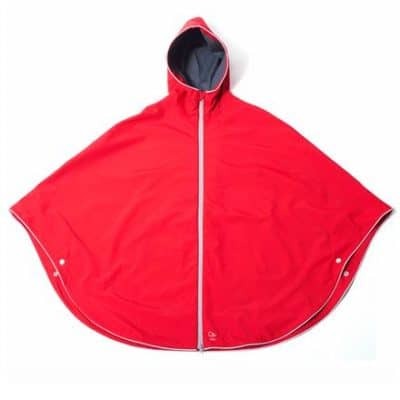 Ride your bike while keeping dry in the midst of a storm with this cape. Made of waterproof nylon you won’t need to worry about the rain. It’s fitted with elastic cords that are adjustable to tighten the cape for the best fit. One of the cool extras with this product is that it comes with leather straps that allow you to attach the cape to your saddle for storage. One of the negative aspects of this cape is that it does not perform well at high speeds or high winds. This cape comes with magnetic straps that allow you to attach the cape to your handlebar while cycling. At lower speeds or moderate winds this cape works fine and will stay connected to the handlebars. The issue is when you’re going fast or the winds are gusty. The magnetic strips will come undone, and your cape will blow with the wind. I wouldn’t recommend this cape if you like to ride fast or plan on riding on windy days. For leisurely paced rides where you’re not facing off against strong wind gusts it will work just fine. View this cape on Amazon. 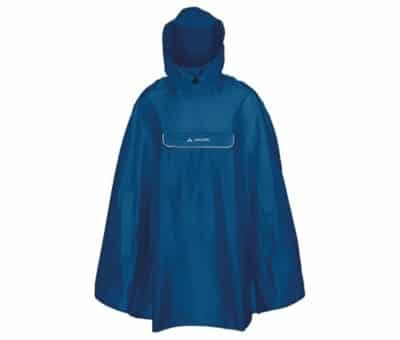 If you’re fortunate to live in a part of the world that doesn’t get much rain than this could be the poncho for you. Out of this list of capes and ponchos this is the cheapest in price. It’s a one-size fits all, but users have complained that the sleeves can be short for some. The chest is 59 inches with a 27 inch length. It also has a zipped pocket to store your personal items. 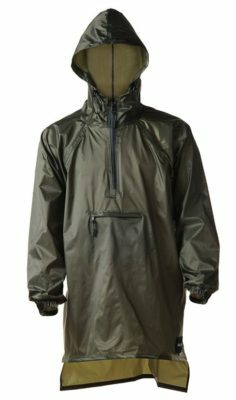 Upon reading other reviews of this product I believe this is a great poncho for those rare rainy day commutes, but not high enough quality to withstand daily use. As my dad says, “you get what you pay for.” It’ll get the job done and you’ll look good, but it’s nothing fancy and you can’t expect this poncho to last forever. See price on Amazon. Make sure any cape you have has a feature to keep it from turning into a sail in the wind. You may not care about looking like a superhero, but you’ll feel the extra drag. Most capes come with cinches and straps to keep the cape from turning into a kite. The price for more expensive capes isn’t always only because they’re more stylish. Many of the more expensive bicycling capes offer features that the cheaper versions don’t have. Do the work on the front end to make sure you buy a cape that fits your specific needs. As I have stressed it’s important to be extra visible while riding in the rain. Many of these capes and ponchos connect over your handlebars which can block a headlight from being seen. If you’re riding in the rain I would recommend placing a light on your helmet or in another position on your bike so that motorists can see your light. Riding in the rain doesn’t have to be frustrating, wet, and miserable. In fact, if you are prepared it can be easy and fun. Wearing the right rain cape or poncho can keep you dry while looking good. I’ve also put together an article that covers everything you need to know about bike commuting in the rain. Enjoy biking regardless if the sun is out or not!